Six homes were broken into in one day as properties across the district were targeted by thieves. Police said three properties in Southwater and a further three in Horsham were targeted by thieves last Thursday (November 8). Jewellery, money and bank cards were amongst the items stolen with officers also investigating further thefts in the Faygate and Shermanbury areas. Police said a home in Cedar Drive, in Southwater, was broken into between 11am and 6pm on the Thursday. Thieves entered the property through the back door and stole pieces of jewellery (0954/18/11). A house in Millfield, Southwater, was also targeted between 7am and 4.30pm that day. Burglars again entered the home through the back door but police said it was not yet known what had been taken (0847/18/11). A home in Nutham Lane in the village was also broken into on the same day. Officers said burglars broke in again through the back door sometime between 8.15am and 5.55pm (0949/18/11). On the same day in Horsham jewellery was stolen following a break-in along Blackbridge Lane. Police said thieves entered once more through the back door between 10.45am and 12.30pm (0490/18/11). A home in Dutchells Copse was also targeted on the Thursday. 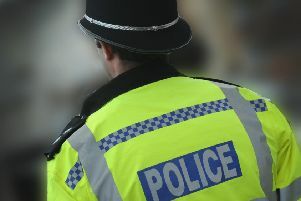 Burglars stole jewellery, money and a bank card as they entered the property through the back door between 8am and 4.30pm (1026/18/11), officers said. Jewellery was also taken from a home in Spencers Place that same day. Police said the thieves entered the home through a rear window between 6.55am and 7.45pm (1188/18/11). Police have not confirmed whether the incidents are linked but are appealing for anyone with information to contact 101 quoting the references in bold above. Several other break-ins have also been reported over the past week. The front door to a home in Brighton Road, Shermanbury, was broken in an overnight burglary over the weekend. Police said the incident took place between 7pm on Friday November 9 and 7.45am on Saturday November 10. It has not yet been established what was taken (0534/10/11). In a separate incident thieves forced their way into a garage in Crawley Road, Faygate, between 8pm on Monday November 5 and 7am the following morning (0401/06/11). Police added a container along the same road was also forced open sometime between Monday November 10 and Sunday November 11. (0184/ 06/11). Again anyone with information on these incidents is asked to contact 101 quoting references in bold.